Nathan is a Bay Area native and has been thriving in the real estate industry for the last 15 years. With his degree in Business Administration and his commitment to excellence, Nathan has created a successful brand of service unique to his talents. 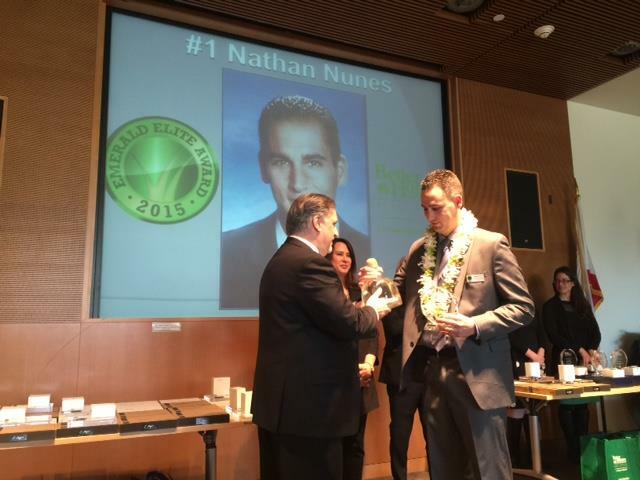 Nathan was the #1 agent at Better Homes & Gardens from 2013-2017 and has been awarded the Top 100 most influential real estate agents in Northern California by Real Estate Executive. Nathan believes in educating his clients on market trends and analyses and providing them with the tools they need to make the best decisions for their unique situation. Furthermore, his dedication to details, timelines and the customer experience are unparalleled in the real estate industry. Nathan operates with honesty and integrity and values his client relationships as the true experience. His exceptionally loyal clientele, personal referrals and repeat business form the foundation of Nathan’s career. Thank you to my family, friends, associates, and clients that helped me become the #1 agent at Better Homes and Gardens Real Estate J F Finnegan Realtors. I could not have achieved this success without all of your support and referrals. I am truly humbled and grateful for this award. I would like to say a special thank you to my wife Megan for her unfailing support and commitment to our family. Lastly, if you know anyone that could use my help buying or selling real estate, I always welcome any referral.